The annual Latvian Alfa Romeo owners meeting took place last Sunday in Šlokenbeka manor near the capital city Riga where almost forty Alfa Romeo cars gathered in the manor park, the event star of course was the Giulietta. 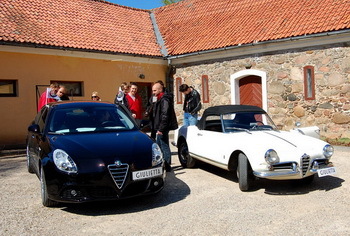 The annual Latvian Alfa Romeo owners meeting took place last Sunday in Šlokenbeka Manor near the capital city Riga. Almost 40 Alfa Romeo cars gathered in the manor park, the event star of course was Giulietta, a white Spider from 1959 complementing a brand new "Etna black" model presented by local Alfa Romeo dealer Autobrava. All participants had an opportunity test drive this latest Giulietta equipped with the 170 hp MultiAir engine. 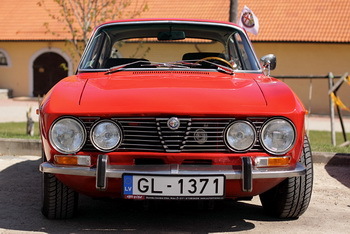 All the most exciting Alfa Romeo cars in Latvia were present: Alfa Romeo GTV6, Alfa 90, Alfa 75, 105 series Spider and Bertone coupe. 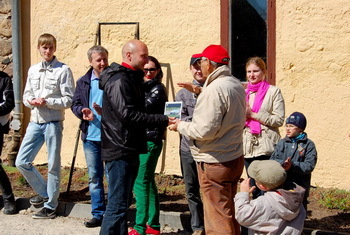 Members of Latvian Alfa Romeo owners club took part in a local "Concours d'Elegance" to choose the most elegant and beautiful Alfa Romeo sedan present on the day and the winner was Alfa 159 with TI pack in Alfa Rosso. Alfa Romeo cars were imported into Latvia until 1940 when 50 occupation years locked Latvia from the arrival of any foreign cars, except Ladas and Volgas. After 1990 when Latvia become free again the first modern Alfa Romeos started to appear on Latvian roads. Those were lightly used Alfasuds, Alfa 33, Guilettas and Alfa 75. All however rusted fast and then broke down, but the first enthusiasts were born. Those people were impressed with the performance and style of those Italian beasts. Though from 1990 until 2000 there were imported or sold new only about 500 Alfa Romeos, that’s far less that 1 percent of Latvian car sales and without doubt Alfa Romeo was and still is very exotic car. Nowadays the Alfa 156, 147 and 166 have became quite popular, also the 159 has sold well and in spite of northern weather and poor road conditions Alfa Romeo is well respected and is head turning car. 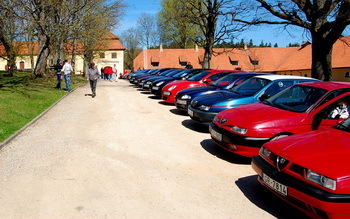 The Latvian Alfa Romeo Owners Club was established in 2003. The aim was to unite fans of this legendary Italian make from all over Latvia. The main task of the club is to accumulate knowledge and experience of Alfa Romeo technical maintenance and to spread this valuable information between the admirers in Latvia, as well as to establish connections with Alfa Romeo owners’ communities abroad. The Alfa Club organises events for Latvian Alfa Romeo owners on a regular basis, in which fans and owners are actively involved, side by side with the official dealer Autobrava. Events, such as “Legend of the fall”, “Šlokenbeka” and “AROMS”, soon became traditional and are now undoubtedly part of social life of an Alfa Romeo owner here.